Our centrally located Moab facility is a doggy haven! 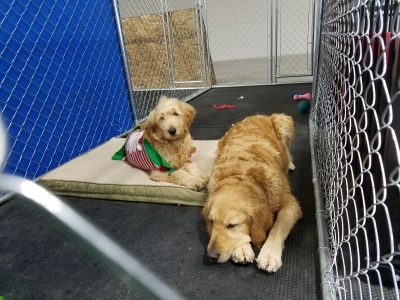 Our cozy ranch setting allows for a very special boarding and daycare experience your dog is sure to LOVE! Whether you're leaving your dog while on a day-trip tourist excursion or for several days at a time, you will be comforted in knowing that your pup will be well cared for and having a vacation experiance of their own. We have different kennel options for the single dog or multiple dogs to ensure the perfect fit for their comfort. We encourage you to bring any toys or items that make your pet feel safe and secure. Plenty of play space and walking area outside to keep them busy and interior play space for those days that aren't so nice outside.